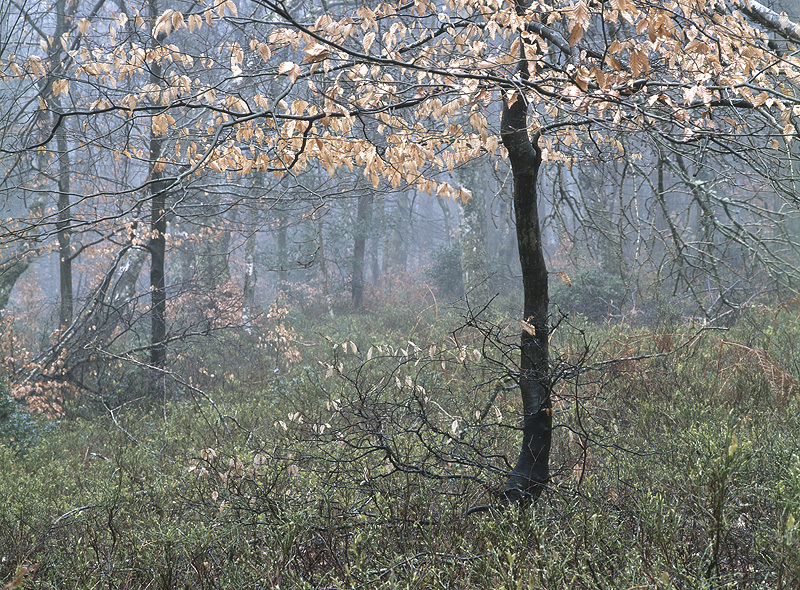 A single Beech tree with a few golden leaves in a misty woodland setting. Horner Plantation. Horner and Dunkery National Nature Reserve. Exmoor National Park. Somerset.